Through a partnership with local women-owned businesses, the Edward Hopper House is pleased to offer a beautiful, limited edition scarf, custom designed by artist Angela Fraleigh using the color palette found in Jo Nivison’s artwork. 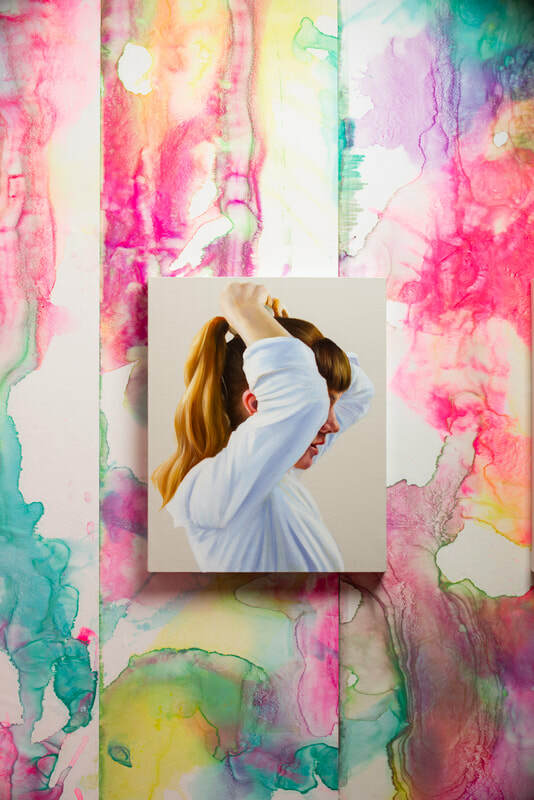 Just in time for holiday gifting, a lush watercolor printed by CONCEPT PRINT, these luminous scarves may be found in the Edward Hopper House Museum gift shop. Only 40 scarves have been made for this exhibition, purchase yours for $39 before they’re gone! ​A New York artist with a national reputation, Angela Fraleigh will transform the galleries at Edward Hopper into a vibrantly percussive environment with a series of site-specific paintings exploring the work and relationship of Edward Hopper and his wife Josephine Nivison. Covering the gallery walls with tightly cropped oil paintings of Hopper’s women, Fraleigh presents portraits of Hopper’s rendition of female faces - hidden from view - sitting against a backdrop of luscious vibrant painterly marks reminiscent of Jo Nivison’s famous early works. The installation is a continuation of Fraleigh’s latest body of work which seeks to explore the dormant narratives of women in art history. Edward Hopper House is pleased to present an exhibition of work by the renowned graphic artist, Milton Glaser (b. 1929) in the fall of 2018. 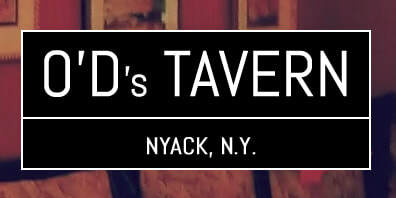 Glaser’s iconic designs include the “I Love NY” logo, the psychedelic poster for Bob Dylan’s Greatest Hits album, and the Brooklyn Brewery logo. He is also a co-founder of New York Magazine and Push Pin Studios. Throughout his long career, Glaser has exhibited extensively worldwide, and designed many posters, publications and architectural designs. He has received numerous awards for his work, including the National Medal of the Arts award from President Barack Obama in 2009. Claudia Alvarez creates ceramic sculptural installations of child-sized figures imbued with adult-like characteristics. The work engages in diverse and timeless subjects such as immigration, violence, youth/aging, and power struggles. The incongruity of these youthful figures placed in unexpected situations suggests a dreamlike state that challenges our perceptions of reality and emotional clarity. For this exhibition Alvarez, will create childlike figures in the image of Edward Hopper as a way of thinking about Hopper reflecting back at himself from childhood to adulthood. 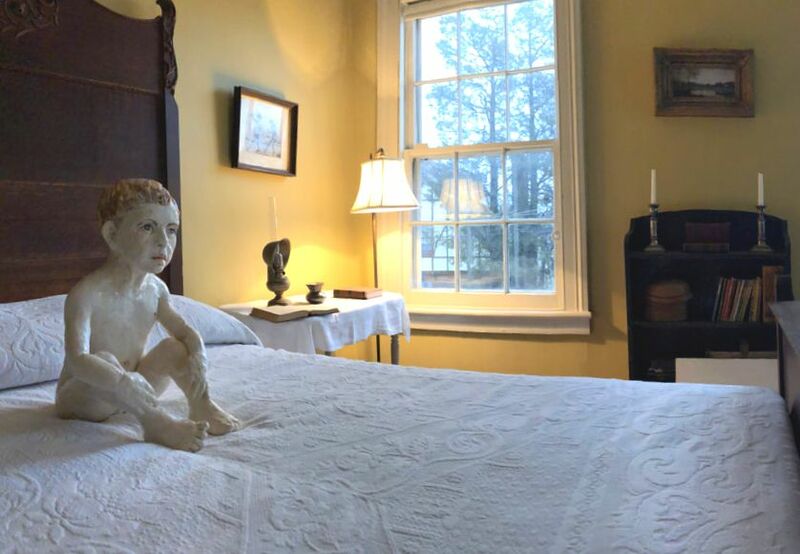 The sculpture will suggest Hopper at different stages of his life, some will have an older face with a small body, or childlike body. Sean Scully is renowned for his paintings featuring multiple layered stripes of thickly applied oil paint. Though abstract, his imagery is derived from the natural world and serves as a metaphor that relates to things outside the painting. The works to be shown in this exhibition are from the "Doric" series. Scully has said that the series is a love letter to Greece: “I wanted to celebrate what Greece had given us, to humanity, and tried to make an architectural metaphor, in which I tried to include, in a sense, the history of romantic painting. For the Doric paintings I tried to show something that was based on order and classicism.” While the series pays homage to Greece and its classical architecture, many of the works were created in Scully’s studio in Tappan, New York—not far from the Nyack of Edward Hopper’s formative years—and it is the local environment and his emotions on a given day that Scully responds to when creating the paintings. Born in Dublin in 1945, Scully moved to London as a child and studied art at the Central School of Art and Croydon College of Art before receiving his BA from Newcastle University in 1972. Scully moved to United States in 1975 and currently lives and works New York and Munich, Germany. This exhibition is made possible by the New York State Council on the Arts with the support of Governor Andrew M. Cuomo and the New York State Legislature. Additional support has been provided by Regina Rodwell-Bell and Jake Bell and O’D’s Tavern. Considered one of the most influential contemporary American artists, Weems is celebrated for her photography, films, and videos that address social themes focusing on race, gender, and class. She has exhibited at major institutions throughout the world, and she is the recipient of numerous awards and fellowships, including the MacArthur “Genius” grant, the Congressional Black Caucus Foundation’s Lifetime Achievement Award, the Prix de Roma, and many more. ​She lives and works in Syracuse, NY. Organized by Carole Perry with Pamela Vander Zwan. 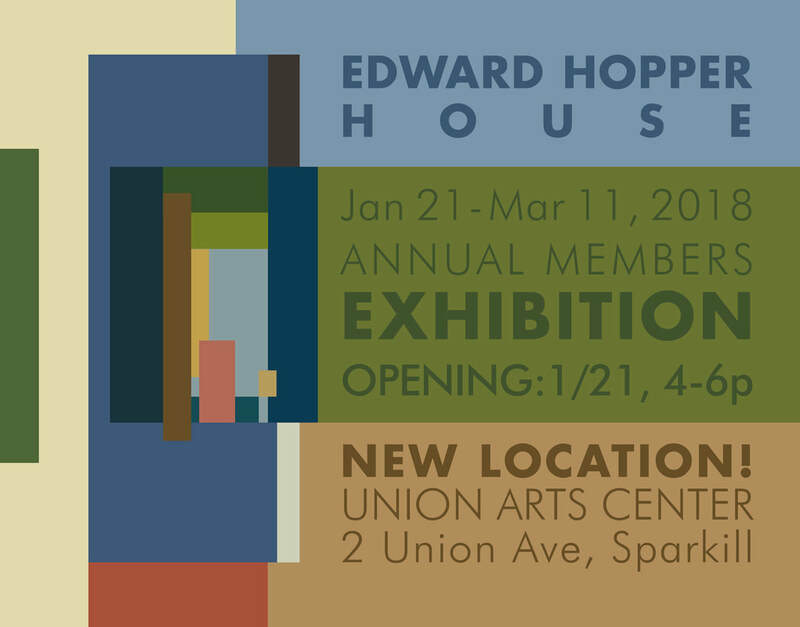 Artist Members of the Edward Hopper House are featured in this annual show.